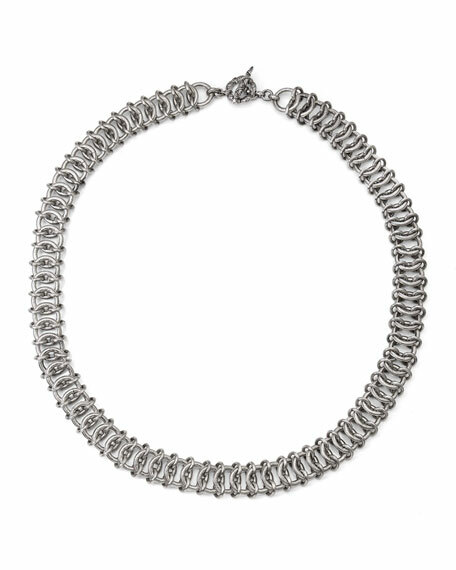 Engraved chain mail necklace by Stephen Dweck. Sterling silver hardware with engraved finish. For in-store inquiries, use sku #2623266.